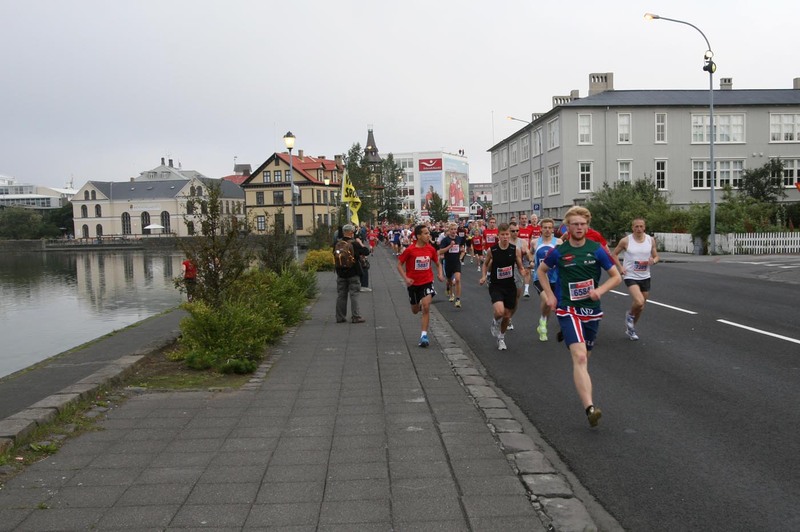 Reykjavik downtown was a peaceful place when annual marathon was held 18th of August 2012. The weather was calm and no painful traffic noise as usual. Many streets were closed for cars so there was plenty of space for almost fourteen thousand runners this day. I placed my microphones in a bush about 500 meters from the starting point. In the beginning of the recording most footsteps are coming from right to left when runners are on the way to the starting point. Air plains pass by from left to right and land on Reykjavik Airport. Runners continue to pass on the way to the starting point, some of them arriving too late. Few seconds after the race starts, runners begin to pass the microphones from left to right. And there is a lot of runners. Thousands of footsteps in just five minutes….and another airplane passes by the same way, but on the way to the airport. Then, everything gets normal agin. Það var ákaflega notalegt og beinlínis streitulosandi að fara niður í miðbæ Reykjavíkur, morguninn sem Reykjavíkurmaraþon var haldið þann 18. ágúst 2012. Rúmlega 13 þúsund manns voru skráðar í hlaupið sem var metþátttaka. Veðrið var gott og það besta af öllu var að miðbærinn var laus við bílaumferð. 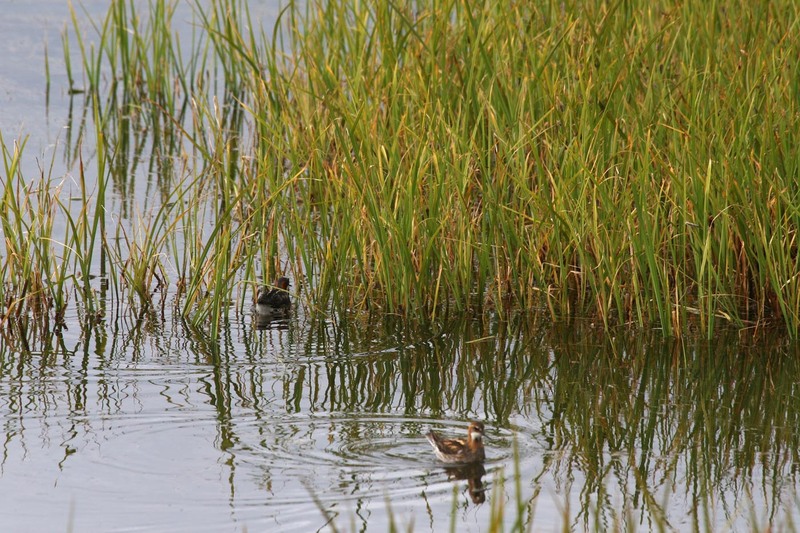 Helsti hávaðinn kom frá gjallarhorni keppnishaldara og frá tveimur flugvélum sem komu til lendingar á Reykjavíkurflugvelli. Staðsetti ég hljóðnema í runna fyrir neðan Fríkirkjuna og lét þá fanga það sem allt snerist um þennan dag. Í upphafi hljóðritsins má heyra fólk streyma frá hægri til vinstri á leið sinni frá bílastæðum við Hringbraut niður á Lækjargötu að ráslínu. Stuttu eftir að rásmerki er gefið koma hlaupararnir 13 þúsund eins og stórfljót frá vinstri til hægri sem svo hverfur á fimm mínútum. Þegar þeir eru svo horfnir úr augsýn færist allt aftur í eðlilegt horf við Fríkirkjuveg.